Purpose The purpose of the asbestos Operations and Maintenance (O & M) Program is to prevent the improper disturbance of asbestos containing materials (ACM) and presumed asbestos containing material (PACM); to control the release of asbestos fibers until ACM is scheduled for removal; and to provide corrective measures when asbestos hazards are encountered. Compliance with these measures will allow asbestos to be safely managed in place, nuisances corrected, and danger to human health and the environment to be reduced or eliminated. Protect the health and safety of university staff during asbestos abatement activities through project monitoring and/or quality control of outside project monitoring firms. Definitions Asbestos – includes chrysotile, amosite, crocidolite, tremolite asbestos, anthophyllite asbestos, actinolite asbestos, and any of these materials that have been chemically treated and/or altered. Asbestos Containing Material (ACM) – is a material that has been tested and determined to contain more than one percent asbestos, or is assumed to be in the absence of testing. Also refer to the definition of Presumed Asbestos Containing Material (PACM). Asbestosis – scarring of lung tissue (around terminal bronchioles and alveolar ducts) resulting from the inhalation of asbestos fibers. Contact EHS at 292-1284 to request technical assistance or guidance. Maintain and submit appropriate documents required to demonstrate the abatement and disposal methods were in compliance. Submit annual asbestos notification, as well as the required reports to the Ohio Environmental Protection Agency (EPA) regarding abatement activities. Hazard Assessment A hazard assessment should be performed by an Asbestos Hazard Evaluation Specialist whenever damaged ACM is encountered as a result of an inspection, survey, water leaks, malfunctioning equipment, or any other non-routine O & M job. The assessment is necessary to ascertain the condition of the confirmed or suspected ACM and determine if a potential airborne hazard exists. Based upon the hazard assessment, a determination will be made as to an appropriate response action to abate the hazard. The Asbestos Hazard Assessment Form should be utilized to better determine the hazard potential. The Form should be used in conjunction with the Asbestos Abatement Response Decision Tree (see Appendix A) to ascertain whether the asbestos hazard requires the services of a licensed asbestos abatement contractor or whether the damaged asbestos can be managed by means of the different O & M response actions. The Form should be used whenever damaged ACM is reported. General information regarding the location and quantity of the damaged asbestos should be recorded. This should be followed by evaluating the damage using the risk factors listed on the Form. Following this determination the hazard potential can be determined, as well as the recommended corrective measures utilizing the Decision Tree. corrected, and danger to human health and the environment is minimized or prevented. Such work can be accomplished by following the applicable regulations, safety procedures, and avoiding the listed prohibited or unacceptable work practices that are noted in Section 7.1.2. Glovebag removal shall be performed by personnel with valid Class I licenses according to the glovebag manufacturer’s instructions, the requirements outlined in OSHA 1926.1101, and the following: 1. Verify that the Heating, Ventilation, and Air Conditioning (HVAC) system is shut off or isolated from the work area. Erect isolation barriers and establish a regulated area per OSHA regulations (see Section 8.0). Install critical barriers over all openings within the regulated area. Don protective clothing and HEPA-filtered respirators. Pre-clean all visible ACM debris from the immediate work area with a HEPA vacuum cleaner. Place plastic sheeting on the floor and equipment beneath each glovebag area. If the damaged TSI is longer than the width of a glovebag, wrap the loose and friable material adjacent to the removal area in two layers of 6 mil thick plastic and “candy stripe” with duct tape or otherwise render intact to prevent a potential release of asbestos fibers into the ambient air. Wrap duct tape around the pipe at each location where the glovebag is to be attached to prevent damage to insulation when the glovebag is removed. Place tools inside the glovebag. Install the glovebag to completely cover the circumference of pipe or other structure where work is to be done. Provide only bags capable of withstanding constant wetting and evacuation through a HEPA-filtered device. Adjustable straps may be added to strengthen attachment points and help ensure glovebag integrity during the job. Smoke-test glovebag for leaks. Seal leaks before use. Insert and seal equipment that penetrates the bag (spray wand, vacuum nozzle) before insulation is disturbed. During glovebag operations removing TSI or surfacing materials, employ at least two people, working simultaneously, for each task. the glovebag. Keep surrounding areas wet by spraying periodically with amended water. Maintain a high humidity environment to assist in fiber settling. 15. Remove the wet asbestos material as intact sections or components. Carefully lower the material to the bottom of the glovebag. Scrub and wipe insulation residue from the pipe before applying an encapsulant. Spray all tools with water inside the glovebag and place the tools back into the pouch. Spray the interior of the glovebag with water to wash debris to bottom of bag. Pull tools through one glove, twist glove to isolate tools, duct tape twisted area, and glove off through twisted/taped portion. Place bag of contaminated tools into a bucket of water or double bag for transport back to shop. If placed in bucket of water, open the bag of tools under water to clean them. Spray the pipe and glovebag interior with an encapsulant before the bag is removed from the pipe. Remove the water wand and attach a HEPA vacuum to that hole in the glovebag. Collapse the glovebag with suction from the HEPA vacuum. Twist the glovebag above the ACM in the bottom of the bag, isolating the ACM. Tape at twist and cut glovebag off pipe by cutting through the tape/twist area. Remove the remainder of the glovebag attached to the pipe and seal exposed insulation ends with a heavy grade mastic or rewettable cloth. Double bag the removed glovebag and all ACM waste in two 6 mil polyethylene disposal bags. Disposal bags shall be immediately sealed at the work area and labeled with the required information as listed in the following step. Sealing the bags shall consist of evacuating the air from the bags via a HEPA vacuum, then twisting, goose necking, and taping the top of each bag. Bags shall be placed into metal or fiber drums during storage if they will be stored outdoors. Standing water shall be in each bag. DANGER CONTAINS ASBESTOS FIBERS AVOID CREATING DUST CANCER AND LUNG DISEASE HAZARD b. Label each container with the address or building name of where the asbestos waste was generated. 28. May need to repeat steps 1 through 27 if ACM is still present on surface after initial removal. 29. Treat wires, hangers, steel bands, nails, screws, metal lath, tin sheeting, and similar sharp objects removed with asbestos material as asbestos waste by following the bagging and labeling procedures in steps 26 and 27. Remove isolation barriers and work area seals and dispose of as ACM waste, following the bagging and labeling procedures in steps 26 and 27. Remove containerized asbestos waste daily from site or store on site in a locked or secured location until ready for final disposal. Outdoor waste containers shall be fully enclosed and locked. If access to the outdoor roll-off box is not available at the end of the job, fill out an Asbestos Waste (ACM) Chain-of-Custody (COC) form (Appendix B) and contact Utilities supervisor to arrange for custody exchange of the waste. Any contaminated water generated by cleaning the tools should be discharged through a 5 micron sock filter to a sanitary drain. Used filters should be double bagged and labeled as ACM waste following the procedures in steps 26 and 27. Isolate steam line and bleed down pressure to reduce surface temperature to less than 400º F. Emergency insulation removal with high temperature glovebags or pipe casings should not be performed if temperatures exceed 400º F or conditions are unsafe. The supervisor will conduct the safety assessment before each job involving high temperature glovebag work. steam lines may be used with a conversion table to determine pipe temperatures and the appropriate abatement supplies and equipment to safely perform the work. The Saturated Steam Pipe Temperature/Pressure conversion table (Appendix C) method to determine steam line temperature should be used only on saturated steam lines and only when conditions do not allow taking the actual temperature with either a probe or infrared meter. Saturated steam pipes exist inside buildings. The Saturated Steam Pipe Temperature/Pressure conversion table may not be used for determining pipe temperature inside the power plant or in the utility tunnels because the pipes in these areas carry superheated steam instead of saturated steam. Wear heat resistant protective equipment (e.g., coveralls, gloves, boots or shoes, respirators, etc.). All materials used in and around high temperatures should be both flame resistant and appropriate for the temperatures. a. The combination of reusable Indura fire resistant coveralls worn under disposable Pyroion Plus II fire resistant coveralls is recommended. b. For high temperature glovebag work, use supplied air full face respirators and a supply air compressor. Select a high temperature glovebag or pipe casing rated for the pipe temperature as determined in step 3. Affix high temperature glovebags or pipe casings to the pipe or fixture, as per the manufacturer’s directions. Include tools and equipment within glovebag that is needed to remove the insulation. a. For affixing high temperature glovebags rated up to 300o F, use a premium grade duct tape, such as Nashua 357 tape. Lower grades of duct tape are not as strong and may melt. b. High temperature glovebags rated from 300o F to 400o F are heavier and will require two abatement workers to install. These bags feature builtin shoulders and straps to help support the weight. They also feature silicone coated fiberglass fabric for temperature resistance and impermeability to airflow. Duct tape will not stick to the silicone coating. One abatement worker supports the bag while the other member of the abatement team tightly rolls the top together and staples it together with heavy duty staples, such as the Bostich STCR-5019 staples. After the bag is stapled, apply a bead of Room Temperature Vulcanizing (RTV) silicone sealer to the crease under the rolled, stapled top to make an airtight seal. Use the straps to seal the ends of the glovebag around the shoulders to the pipe to complete the installation. 7. When the correct rating of high temperature glovebag is used based on the pipe temperature as determined in Step 3, the glovebag will allow at least two hours to safely remove ACM. Perform the insulation removal without water to prevent steaming and fogging conditions inside the glovebag, which will hamper visibility. Do not spray water directly on the hot pipe. Add water to the insulation only after it has been removed and dropped into bottom of the glovebag and the pipe has been cleaned. 8. Spray the pipe and glovebag interior with lockdown approved for use on hot pipes. 9. Remove glovebag with asbestos insulation and allow to cool below 150º F and then place in polyethylene asbestos labeled bags for transport and disposal. Dry removal of ACM unless using high temperature glovebag procedure (Section 7.1.1). Clean-up: Damaged Asbestos This procedure is for the clean-up of small amounts of asbestos containing debris that encompass normally less than 50 square feet. This type of work is generally considered Class IV work (see definition in Section 3.0). This procedure includes the following steps: 1. Post “DANGER ASBESTOS” signs at all entrance(s)/door(s) to work areas. These should not be placed in corridors or public access areas, but only where one would immediately see the signs upon attempted entry to the area. 2. Shut down HVAC system servicing the work area as necessary. 3. Dress in disposable coveralls, respiratory protection, and any other PPE appropriate for the job (e.g. hearing protection). 4. Cover and seal all vents and air ducts inside the work area with 6 mil polyethylene sheeting and vinyl tape. 5. Whenever possible, the ACM should be wetted prior to clean-up. The wetting agent shall be used according to the manufacturer’s instructions. 6. Seal off all openings into the work area with one layer of polyethylene sheeting and vinyl tape (e.g., doors, windows, vents, etc.). 7. Saturate the asbestos material, but avoid the accumulation of excess water while the material is being HEPA vacuumed. 8. Keep all ACM wet until it is properly bagged for disposal. 9. All HVAC filters which may have been contaminated with asbestos should be wetted, removed, and disposed as asbestos waste. 10. All furniture and other moveable items in the area shall be HEPA vacuumed, wet wiped, and removed. If HEPA vacuuming is deemed impractical, consideration should be given to the disposal of curtains, cloth covered furniture, and carpeting as ACM waste. 11. Stationary items in the work area shall be HEPA vacuumed, wet wiped, and covered with one layer of polyethylene sheeting. 12. HEPA vacuum the floor if any PACM is present. Then, if necessary, cover the floor with one layer of polyethylene. 13. Clean up the asbestos debris or materials as intact as possible. Materials should not be further broken, dropped, or thrown to the floor. 14. After all the ACM is removed, all surfaces in the room shall be HEPA vacuumed and wiped wet to remove any remaining fibers. 15. Apply lockdown adhesive where appropriate for the cleaned surfaces. 16. Remove the layer of polyethylene from the walls and floor, carefully folding inward to form a bundle, and package it in two 6 mil polyethylene bags for disposal. Leave the HVAC units and ducts covered with polyethylene sheeting sealed with duct tape. 17. Visually inspect all surfaces following the final cleaning and contact EHS for possible inspection of the area to determine the effectiveness of the decontamination effort. 18. Clean all equipment used in the removal area using wet methods. 19. Prior to removing disposable clothing, use the HEPA vacuum and the “buddy system” to vacuum all clothing surfaces. Remove disposable clothing by pulling sleeves and legs inside out. Wipe the exterior of the respirator with a damp rag. Disposable clothing is to be treated as ACM waste. 20. Two 6 mil polyethylene bags shall be used for disposal of ACM. Bags shall be immediately sealed at the work area and labeled with the required information as listed in Section 7.1, step 27. Sealing the bags shall consist of evacuating the air from the bags via a HEPA vacuum, then twisting, goose necking, and taping the top of each bag. Bags shall be placed into leak-proof containers during storage if they will be stored outdoors. 21. EHS may conduct air monitoring (per section 15.1) to determine whether the work area can be reopened. If the air sample results are acceptable, all remaining polyethylene shall be removed and disposed of as ACM waste. Resilient Flooring and Adhesive Removal Asbestos can be present in resilient flooring, such as floor tile and linoleum, as well as the adhesive or mastic used to adhere the flooring to the substrate. Most 9” x 9” floor tiles contain asbestos, whereas 12” x 12” floor tiles are generally asbestos free. NOTE: This procedure is meant to cover the removal of resilient flooring and mastic that involves less than 50 square feet of material. This type of work is generally considered Class II work (see definition in Section 3.0). 1. Prior to the commencement of work, dress in disposable coveralls, respiratory protection, and any other PPE appropriate to the job (e.g. hearing protection). 2. The space being abated of asbestos containing resilient flooring and/or mastic should be posted as a regulated area (see Section 8.0) and secured from un-authorized entry. 3. The manual removal of resilient flooring and mastic can be accomplished using hand scrapers in conjunction with water or chemical strippers. 4. Care should be taken to remove each tile intact and to minimize the breakage of the material, which might result in a fiber release. 5. Resilient flooring removal can be performed under wet conditions (i.e., water or chemical stripper). Care must be exercised to ensure that the liquid does not seep or leak to the floor below without taking special precautions. 6. The use of chemical strippers should not be used in occupied spaces if chemically sensitive persons cannot be protected by special ventilation or relocated. 7. Abated floor surfaces should be cleaned with a HEPA-filtered vacuum and wet wiped. 8. The need for a three stage decontamination unit with shower is generally not required for resilient floor and mastic removal if workers wear two sets of disposable coveralls (double-suit) and the use of a “buddy system” to HEPA vacuum and wet-wipe contaminated coveralls before exiting the work area. However, entry ways into the space should be sealed with overlapping plastic flaps. 9. Disposable clothing is to be treated as ACM. 10. Two 6 mil polyethylene bags shall be used for disposal of ACM. Bags shall be immediately sealed at the work area and labeled with the required information as listed in Section 7.1, step 27. Sealing the bags shall consist of evacuating the air from the bags via a HEPA vacuum, then twisting, goose necking, and taping the top of each bag. Bags shall be placed into leak-proof containers during storage if they will be stored outdoors. Floor Penetrations Cutting, drilling, and coring into asbestos containing flooring is considered Class III work (see definition in Section 3.0). Airborne asbestos levels can be minimized when cutting, drilling, or coring by utilizing the following procedures: 1. Secure and post the immediate area as a regulated area (see Section 8.0). 2. Wear disposable coverall, respiratory protection, and any other PPE appropriate for the job (e.g. hearing protection). 3. Cover the immediate work area surrounding the intended penetration with 6 mil plastic to contain debris, as well as to facilitate clean-up and decontamination efforts. 4. Check the floor above and below the floor penetration work prior to and during the actual task to ensure the safety of occupants in that space. 5. Use water sparingly by misting the immediate area prior to performing the floor penetration work, which should help to limit the contamination and to facilitate clean-up. 6. Use a HEPA-filtered vacuum in close proximity to the cutting, drilling, or coring tool to capture dust created by this work. 7. Use a HEPA-filtered vacuum or wet wiping methods to clean the immediate area surrounding the penetration. Similar clean-up methods can be used with tools, once they are unplugged or de-energized. 8. Properly dispose of all ACM that cannot be cleaned or decontaminated. 9. Disposable clothing is to be treated as ACM. 10. Two 6 mil polyethylene bags shall be used for disposal of ACM. Bags shall be immediately sealed at the work area and labeled with the required information as listed in Section 7.1, step 27. Sealing the bags shall consist of evacuating the air from the bags via a HEPA vacuum, then twisting, goose necking, and taping the top of each bag. Bags shall be placed into leak-proof containers during storage if they will be stored outdoors. NOTE: Floor penetrations should not be performed if asbestos containing acoustic plaster is present in the ceiling or spray fire proofing is located beneath the decking. This work should be performed by an experienced asbestos abatement contractor due to the containment difficulties associated with these potentially friable materials. Drywall Cutting, Drilling, and Minor Repair Drywall material does not generally contain asbestos. However, the drywall joint compound or mud is known to contain asbestos, especially in buildings built before 1990. The compound was used to cover joints, fastener heads, and other gaps or penetrations. Drywall cutting, drilling, or minor repair is considered Class III work (see definition in Section 3.0). When possible, care should be taken not to disturb joint compound to minimize exposure. However, if cutting or drilling into asbestos containing joint compound on non-asbestos drywall, the following safety precautions should be utilized: 1. Secure and post the immediate area as a regulated area (see Section 8.0). 2. Wear disposable coverall, respiratory protection, and any other PPE appropriate to the job (e.g. hearing protection). 3. Use a stud finder to locate studs, so as to avoid disturbing mudded fasteners, such as nails or screws. 4. Mark area to be cut or drilled. Avoid cutting or drilling the joints if possible. 5. Use 6 mil plastic as a drop cloth and secure beneath the area where the repair is to take place. 6. Carefully mist the area to be cut using a garden sprayer with amended water. An effective alternate drilling or cutting method involves the use of a wet sponge or shaving cream to capture drywall debris. 7. Use a utility knife, hand tools, or power tools with HEPA-filtered dust collection systems to minimize dust generation. Sparingly mist the area until the repair is complete to contain generated dust and to facilitate clean-up. 8. Remove pieces of cut drywall and place into disposal bag. If used, place wet sponges are into disposal bag. 9. Clean drywall edges of any joint compound and encapsulate or seal with a suitable lockdown as a precaution. 10. HEPA vacuum repaired area and areas accessible from hole. 11. HEPA vacuum and wet wipe up any accessible dust or debris generated on back side. Wet wipe drop cloth and surfaces adjacent to area where hole was cut or drilled. Remove drop cloth and place into disposal bags. 12. HEPA vacuum tools or use wet wipe methods once power tools are de-energized. 13. Disposable clothing is to be treated as ACM. 14. Two 6 mil polyethylene bags shall be used for disposal of ACM. Bags shall be immediately sealed at the work area and labeled with the required information as listed in Section 7.1, step 27. Sealing the bags shall consist of evacuating the air from the bags via a HEPA vacuum, then twisting, goose necking, and taping the top of each bag. Bags shall be placed into leak-proof containers during storage if they will be stored outdoors. Plaster Cutting, Drilling, and Minor Repair Plaster cutting, drilling, and minor repair are considered Class III work (see definition in Section 3.0). Plaster walls are known to contain 0.5 to 5 percent asbestos. The asbestos is generally found in the base or scratch coat, and not the thin outer or finish coat. If intact, the asbestos fiber is encased in the cement-like base coat and cannot become airborne. However, affixing items to plastered surfaces or during plaster repairs, it is possible to cause fibers to be released. Asbestos exposure can be minimized during hole drilling, hand scraping, or manual removal using the following procedures: 1. Secure and post the immediate area as a regulated area (see Section 8.0). 2. Wear disposable coveralls, respiratory protection, and any other PPE appropriate for the job (e.g. hearing protection). 3. Prepare the site to minimize the potential for contamination by removing furniture or equipment. Cover or wrap in plastic items which cannot be moved or would be difficult to clean. 4. Use 6 mil plastic as a drop cloth and secure beneath the area where the repair is to take place. 5. Close the door to the room and seal air supply and return air vents with 4 mil or thicker plastic sheeting to protect the ventilation system. 6. Use hand rather than power tools to reduce dust generation, especially to the base coat. 7. Use a HEPA vacuum operated near the actual work to capture dust. 8. Clean the work area thoroughly using a HEPA vacuum or wet wipe methods. 9. HEPA vacuum tools or use wet wipe methods once powered tools are unplugged or de-energized. 10. Properly dispose of all asbestos contaminated material that cannot be cleaned or decontaminated. 11. Disposable coveralls are to be treated as ACM. 12. Two 6 mil polyethylene bags shall be used for disposal of ACM. Bags shall be immediately sealed at the work area and labeled with the required information as listed in Section 7.1, step 27. Sealing the bags shall consist of evacuating the air from the bags via a HEPA vacuum, then twisting, goose necking, and taping the top of each bag. Bags shall be placed into leak-proof containers during storage if they will be stored outdoors. Regulated Area All Class I through III work must be conducted within a regulated area. A regulated area must have the following: 1. Must be demarcated in a manner to restrict persons from entering and protect from exposure to airborne asbestos. 2. Must have signs posted with the following information: DANGER ASBESTOS CANCER AND LUNG DISEASE HAZARD AUTHORIZED PERSONNEL ONLY And RESPIRATORS AND PROTECTIVE CLOTHING ARE REQUIRED IN THIS AREA (If required for the type of work.) 3. Must require the use of respirators, if required, prior to entry. 4. Must not allow employees to eat, drink, smoke, chew tobacco or gum, or apply cosmetics. 5. Must be supervised by a competent person. Under no circumstances is a University employee that has not been trained as an asbestos worker allowed entry into a regulated area. Special provisions will be made by EHS for emergency personnel depending on the situation. Work Oversight Work oversight is another aspect of QA/QC. The oversight function rests with EHS. The visual assessment of the actual work practices to ensure compliance with regulations and accepted protocols should be performed on a regular basis. Reviews of training records, air monitoring results, work orders, insulation maintenance worksheets, chain of custody forms, and Ohio EPA reports likewise must be performed. Individuals performing this function require the Project Designer or Asbestos Hazard Abatement Specialist certification. If necessary, EHS will conduct air monitoring surveillance (Section 15.1) to ensure employee exposures are in compliance with OSHA, and that ambient levels involving abatement activities are less than regulated limits. Individuals performing air monitoring and surveillance require the Asbestos Hazard Evaluation Specialist or the Asbestos Hazard Abatement Air Monitoring Technician certification. Contractor Oversight Asbestos abatement contractors are involved with planned abatement work, as well as occasional emergency clean-up or repair activities. EHS generally will provide direct oversight of the abatement work of small scale or short duration performed by contractors. However, large or complex abatement projects, such as, but not limited to, capital renovation or building demolitions, will require the direct oversight by a credentialed and experienced environmental consultant. EHS will perform unscheduled visits to abatement projects to verify that the consultants are properly overseeing the abatement activities and maintaining the appropriate records. Employee Notification/Education All facilities employees, including custodial and student workers, whose activities could impact ACM must be notified in advance of this potential. The supervisors of these employees are responsible for ensuring that employees are informed of the presence of ACM that could be encountered during the course of their work and trained to the appropriate level to conduct the work in a safe manner. The supervisors of non-asbestos workers are also responsible for maintaining the training records of their employees. Information regarding ACM locations and Asbestos Awareness training are provided by EHS. Outside Service Contractors All Outside Service Contractors whose activities could impact ACM and other personnel who may disturb ACM through the course of their work duties (e.g., utility contractors, computer installers, etc.) must be notified of the potential hazards and presence of ACM. The communication of the presence of asbestos is accomplished through notes of specification documents, pre-bid and pre-construction meetings, and as coded notes on drawings. Generally, the Associate, environmental consultant, project manager, facilities supervisors, or EHS performs this function. If unsure, contact EHS to perform assessment and determine presence or absence of asbestos. NOTE: All employees, building or area occupants, and outside service contractors shall be contacted by all reasonable means to communicate the satisfactory repair or abatement of damaged asbestos containing material in their affected area. A medical and work history with special emphasis directed to the pulmonary, cardiovascular, and gastrointestinal systems. On initial examination, the standardized questionnaire contained in Appendix D, Part 1 of the OSHA regulations, and, on annual examination, the abbreviated standardized questionnaire contained in Appendix D, Part 2 of the regulations is completed by employees. The physical examination directed to the pulmonary and gastrointestinal systems, including a chest roentgenogram to be administered at the discretion of the physician, and pulmonary function tests of forced vital capacity (FVC) and forced expiratory volume at one second (FEV1). Interpretation and classification of chest roentgenogram shall be conducted in accordance with these regulations. Other examinations or tests deemed necessary by the examining physician. Coveralls/Uniform Coveralls or uniforms should be worn beneath disposable protective clothing to provide protection from being soiled or contaminated from asbestos and other hazardous materials. These apparel items must be commercially or at-work laundered and not laundered at home. Protective Clothing Tyvek or equivalent disposable coveralls with attached hoods and shoe covers are required for work where there is the potential for exposure. The disposable coveralls should be routinely inspected for rips and tears while working. Damaged suits should be mended or immediately replaced with ones that are clean and defect-free. Heat resistant arm and head covers used during hot work must be commercially or at-work laundered. Gloves Gloves are required as needed to prevent burns, cuts, abrasions or skin exposure to asbestos or other harmful substances. Heavy duty cotton, leather, or chemical resistant rubber should be worn depending on the work hazard. Footwear Good quality slip resistant boots or shoes should be worn to protect the feet. Rubber or waterproof footwear may be necessary where working conditions require such protection and to prevent falls in wet conditions. Headwear Hard hats should be worn whenever there is a chance of head injury. Eyewear American National Standards Institute (ANSI) Z-87 approved safety glasses with side shields or chemical splash goggles should be worn when there is the opportunity for an eye injury or ocular exposure. Respirators Half or full face, tight fitting, air purifying respirators with HEPA cartridges or filters are required to be worn when required by the class of work performed (Classes I, II, III, and IV) or when a potential for exposure exists. Similarly, powered air-purifying respirators (PAPR) equipped with full-face tight fitting face pieces and HEPA cartridges are acceptable for such tasks. Heat-resistant coveralls, gloves, and shoes should be worn when performing high temperature glovebag work. A supply air-line respirator with a tight fitting full-face piece should be worn when performing high temperature glovebag work. Items that cannot be cleaned or decontaminated must be considered as asbestos contaminated and disposed of accordingly. The respirators must provide sufficient protection depending upon the amount of asbestos in the air. Only personnel that have been medically cleared are allowed to wear respirators for asbestos work. Each person medically cleared for usage must be individually fit-tested to determine proper respirator. Such fit-testing should be performed every six months for persons wearing negative pressure air purifying respirators. Each person must perform a positive and negative fit-check each time a respirator is worn. Respirators must be inspected, cleaned, sanitized and properly stored in a clean storage container after each use. Respirators approved for asbestos abatement work include: 1. Half or full-face, tight fitting air purifying respirators with HEPA cartridges; 2. PAPR equipped with full-face, tight fitting face piece and HEPA cartridges; and 3. A supply air-line respirator with a tight fitting full face piece. Pickup Departments that generate ACM must contact the Facilities Operations and Development (FOD) Utilities Office (292-6601) to arrange for a pickup or authorization for the material to be transported to the secured storage container (i.e., the roll-off box). The department must complete an Asbestos Waste (ACM) Chain of Custody form (see Appendix B), so that the material can legally be received by Utilities prior to transport and storage. Temporary Storage Container ACM waste shall be stored in leak-proof containers (i.e., double bagged ACM waste, drums, or tote carts). The containers must have the OSHA required DANGER wording and include the address, building, or area where the asbestos waste was generated. Until storage containers have been picked up, it may be necessary to store them in a secure room or area to prevent unwarranted access. Transport The temporary ACM waste containers (i.e., double bagged ACM waste, drums, or tote carts) must be transported to the storage site in a covered vehicle, which will not allow for a release or the generation of visible emissions. The space used for transporting the leak-proof containers should be separated from the driver and passenger compartments. The temporary containers should be secured and protected from being damaged and the contents to be released. Permanent Storage Container The transported ACM should be carefully placed into the secured storage container maintained by Utilities. Once the storage container is full, the container and its contents shall be transferred by a contracted asbestos waste hauler to a licensed sanitary landfill for proper disposal. A completed and signed waste manifest must be submitted to the asbestos waste hauler and accompany the shipments of asbestos waste to the landfill. Chain of Custody A Chain of Custody form (Appendix B) is to be properly completed by a department whenever abatement is performed by that department and then transported by the University’s Asbestos “A” Team. Insulation Maintenance Worksheet The Insulation Maintenance Worksheet (Appendix D) is to be used by the “A” Team when transporting asbestos waste from the generator site to the storage container. These documents must accompany the ACM waste and later be submitted to the Asbestos Abatement Supervisor for recordkeeping and reporting. Environmental Monitoring Environmental or ambient monitoring is used to evaluate airborne fiber concentrations within a prescribed building area or to release a regulated area for re-occupancy following completion of an abatement activity. In addition, environmental monitoring can be used prior to asbestos abatement or clean-up in order to determine a baseline exposure level which can be used for comparative purposes during and after remediation work. EHS determines, based on a hazard assessment, if ambient airborne fiber monitoring is necessary and, if so, which sample collection and analysis method is appropriate. EHS will evaluate sampling results to determine if airborne fiber levels comply with established regulatory requirements and, if not, designates the appropriate response action to abate elevated airborne fiber levels. The sampling results are recorded on the Asbestos Air Sampling Data Form (Appendix E). The need for environmental “clearance” monitoring following an abatement activity is dependent on the nature of the activity, type and quantity of ACM affected, engineering controls used, and area occupancy. EHS will determine if environmental monitoring is required for glovebag, clean-up, or repairs and which sampling and analysis methods are appropriate based on the aforementioned conditions. A clearance level of 0.01 fibers per cubic centimeter (f/cc) of air or less is considered acceptable for human re-occupancy. Environmental air monitoring results shall be retained by EHS and the department performing the asbestos abatement activities. NOTE: Environmental, ambient, and clearance asbestos air monitoring are usually not required of O & M asbestos abatement projects and the persons who directly supervise the work. However, as an industry standard of care, it is recommended that such monitoring be performed. This is necessary to better document the quality of asbestos abatement performed by their employees and to ensure that airborne contamination problems do not exist. Personal Exposure Monitoring Personal exposure monitoring in the breathing zone is used to evaluate an employee’s exposure to airborne fibers during an asbestos-related activity and to determine if the level of respiratory protection worn by the employee is adequate to prevent overexposure. EHS or the supervisor can provide initial and periodic personal exposure monitoring for employees (Authorized Asbestos Abatement Personnel) engaged in asbestos-related work. As per OSHA, an Initial Exposure Assessment shall be conducted to determine the eight hour time weighted average (TWA) and the 30 minute EL for the various tasks that are expected to be performed. As per OSHA, a Negative Exposure Assessment shall be conducted for employees performing asbestos abatement work to demonstrate that exposures will be below the PEL. Termination of monitoring can take place, if periodic monitoring of various asbestos abatement activities are below the PEL of 0.1 f/cc (TWA) and the EL of 1.0 f/cc for 30 minutes. Personal air monitoring results shall be retained by EHS and the department performing asbestos abatement activities. All air sampling shall be conducted in accordance with the method prescribed in the applicable EPA, ODH, and OSHA regulations and guidelines. Environmental monitoring or clearance monitoring shall be performed by a certified Asbestos Hazard Abatement Air Monitoring Technician or Asbestos Hazard Evaluation Specialist. The NIOSH sampling method (Method 7400) shall be used for asbestos and other fibers. Method 7400 involves the collection of a volume of air with 25 millimeters (mm) mixed cellulose ester filters (MCEF) and fiber counting by phase contrast microscopy following the NIOSH 582 Course. The NIOSH 7400 Air Sample Chain of Custody Form (see Appendix F) shall accompany all personal and environmental asbestos air monitoring samples from the work location to the lab for analysis. All air sampling equipment are to be calibrated before and after each use and a record of that calibration maintained by EHS. Safety Precautions Asbestos abatement may be performed in environments that pose other hazards, such as confined spaces, energized sources, and thermal stress. The potential to cause injury or illness from these hazards can be minimized by eliminating the risk all together. When this approach is not feasible, the use of engineering controls, safe work practices, administrative means, and PPE can be utilized to provide the necessary safeguards. The supervisors for the Authorized Asbestos Abatement Personnel should be able to determine if any of the previously described hazards exist and the appropriate protective measures that can be instituted. Confined Space Occasionally, asbestos abatement work will occur in locations that may be considered as a confined space. These spaces should not create a health or safety risk. However, other spaces due to their configuration or atmospheric conditions may pose a risk from safely performing work. On those occasions, the supervisor for the Authorized Asbestos Abatement Personnel should contact EHS to have a confined space entry assessment performed to ensure that the work can be performed safely or that the hazardous condition can be eliminated or controlled. Energized Sources Energized sources, such as electrical lines, transformers, steam, natural gas, air pressure, moving equipment, etc., may pose a risk of injury to an unprotected individual. Such circumstances need to be assessed by the supervisor for the Authorized Asbestos Abatement Personnel to determine if abatement work can take place with the system in operation or whether stored energy must be isolated and locked out. If isolation is not possible, then tagging out the equipment or other safe work practices must be followed. NOTE: Ground fault circuit interrupters (GFCIs) are to be used whenever power equipment is used during abatement tasks. This is necessary to prevent electrocution and serious injury. Thermal Stress Many work locations having thermal insulation on pipes and equipment often become hot due to the removal of the insulation wrap and/or due to inadequate heat dissipating ventilation. Such work environments should be initially assessed by the supervisor to determine if the abatement work can be performed safely or under certain safety precautions. If necessary, EHS should be contacted to perform a heat stress assessment and to monitor conditions while the work is taking place. Asbestos Awareness A one hour Asbestos Awareness training is provided by EHS or a certified consultant and contains the following elements: health effects, location of asbestos within the facility, recognition of damage and deterioration, regulatory requirements, proper response to fiber release episodes, and prohibited activities. An on-line Asbestos Awareness training module is also accessible through the EHS website. Asbestos Awareness training is required for all employees who may encounter, but do not disturb, ACM during the course of their work. Training is required initially and recommended at least annually thereafter. The employee’s supervisors determine and schedule training based on each employee’s responsibilities. Operations and Maintenance Maintenance employees who disturb ACM through the course of their maintenance activities are required to undergo sixteen-hour asbestos training. Training is provided by a certified consultant and contains the following elements: asbestos uses and forms, health effects, location of asbestos within the facility, recognition of damage and deterioration, proper handling methods, use of respiratory protection, regulatory requirements, hands-on training in the use of respiratory protection, other personal protection methods, and good work practices. Training is required initially and at least annually thereafter. The maintenance supervisors determine and schedule training based on each employee’s responsibilities. Respiratory Protection Employees engaged in asbestos-related activities are required to participate in the University’s respiratory protection program. Respiratory protection training and fit testing is provided by EHS. Training is required initially and at annual intervals thereafter. Documentation and Recordkeeping The documentation of asbestos related activities is an integral component to a successful asbestos management program. Records documenting inspection, sampling, hazard assessment reports, air monitoring, training, medical information, abatement, clean-up, and remediation projects, respiratory protection, and any other asbestos related activity must be maintained for regulatory and liability purposes. Those departments involved with the previously described activities are responsible for keeping and maintaining those records. The retention schedule is dictated by the applicable state and federal regulations. Medical records and exposure monitoring results shall be maintained for thirty (30) years beyond employment for each employee exposed to asbestos. Training records must be maintained for one year beyond employment. Respirator fit testing must be maintained for three years. Asbestos O&M work orders, waste manifests, and environmental monitoring and clearance records shall be maintained in perpetuity. Despite these regulatory retention limits, it is recommended that all asbestos related documents be retained in perpetuity due to liability reasons. Lastly, these documents shall be maintained and secured in a safe manner. Customer Service Assessing the quality of the asbestos management program requires input or feedback from the individuals that benefit from this service. When possible, these individuals should be requested to provide their opinion on the quality and satisfaction associated with the provided service. In particular, feedback should be requested for the professionalism, timeliness, and dependability of the staff. Lastly, a determination should be made regarding whether customer expectations were achieved. A Customer Service survey form should be developed for personal or electronic distribution (see Appendix H for an example). The Customer Service survey results should be regularly reviewed with the asbestos abatement staff to gauge success and/or determine if followup efforts are necessary. 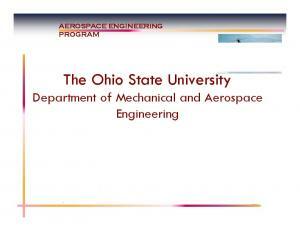 Program Review Annually, The Ohio State University’s written Asbestos O & M Program shall be reviewed by EHS in cooperation with FOD Utilities and Student Life staff involved with asbestos management to ensure that the program is meeting its intended purpose and is in compliance with regulations. The written program should be revised to meet changing regulations, technology, and industry standards of care. The revisions should be annotated and shared with all those having asbestos management responsibilities. Assessment Factors 1. 2. 3. 4. 5. 6. Linear Ft. Sq. Ft. Cubic Ft.
All samples are analyzed in accordance with NIOSH Method 7400, counting rules “A”, unless stated otherwise. * Sample Types: P = Personal; E = Environmental; EL = Excursion Limit; C = Clearance Please indicate any additional comments regarding this sample on reverse side of this form. *Competent Person: A person who is capable of identifying existing asbestos hazards and selecting appropriate control measures to eliminate them. NOTE: The aforementioned certification categories require an eight hour refresher course in the respective categories as part of the annual re-certification requirements. Customer Satisfaction Would you recommend our service to others? Do you feel the service provided addressed the problem? Would you like us to do a follow up visit? Please fold completed form in half and place in campus mail. Thank you for your time! Utilities – Asbestos Abatement Team Attention: Brian Swaney Room 055 Central service Building 2003 Millikin Rd. Report "The Ohio State University. Asbestos Operations and Maintenance Program"